El enfoque de este trimestre de Estudios bíblicos reformados es estudiar el prominente papel que tiene el Espíritu Santo en Hechos y en los comienzos del movimiento cristiano en Jerusalén. Tambièn analizaremos las consecuencias del poder que ha recibido esta comunidad a travès del esparcimiento del evangelio y aprenderemos acerca de cómo Dios utilizó a los discípulos, a Pedro, Pablo, Esteban y Felipe entre otros, para proclamar la palabra de Dios entre el pueblo gentil. 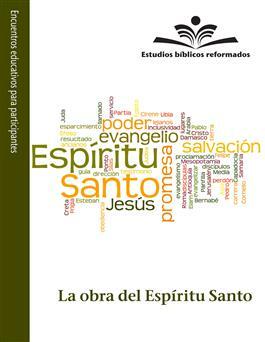 The focus of this quarter of Estudios Bíblicos Reformados (Reformed Bible Studies) is to study the prominent role that the Holy Spirit had in Acts and in the early Christian movement in Jerusalem. We will also talk about the consequences of the power that this community received through the spread of the gospel and learn about how God used the disciples, Peter, Paul, Stephen and Philip and others to proclaim the word of God among the Gentiles. Written by authors of the Hispanic/Latino Presbyterian community, Estudios biblicos reformados (Reformed Bible Studies) is a quarterly curriculum for adults and youth that is created and produced by Congregation Ministries Publishing, part of the Presbyterian Mission Agency. These materials reflect the theological beliefs of our Reformed tradition and it has two components: educational encounters for participants and a guide for leaders.